I don’t think I did one last year, but this year I think I am. So…..you have a saxophonist that you want to get a little holiday gift for huh? Well, here are some ideas. Band-in-a-Box – Though they have different versions of this program, you need the version with the Real Tracks. Period. This is an essential practice tool. Always at the top of my list. iPad – Yes, there are other knock off tables. But with the huge, rich, totally awesome App eco-system Apple has, why mess around? ForScore is my App of choice for storing and reading PDFs, with GoodReader a close second. Plus, add programs like Garageband on……there is so much you can do with this device. iPod Touch – This little device is awesome. You can record stuff on the fly. Or perhaps take a picture of some chord changes you need to work on? Or maybe listen to some tunes? The iPod Touch is great. 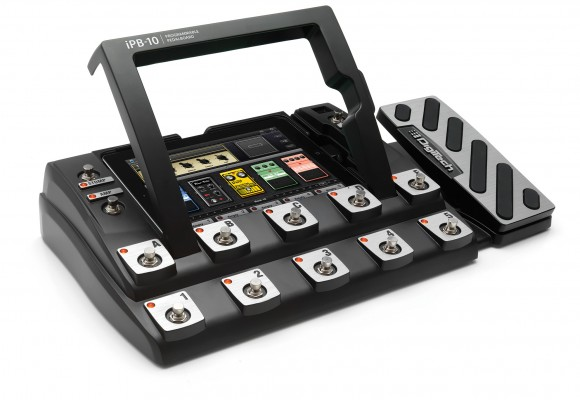 Use it as a tuner, a metronome, a camera……so many uses. I find I use mine (well, the iPhone version of it) for tuning, or snapping a shot of a chart I need to shed, or doing a spot recording. Just Joe Strap – There was some make believe controversy about this strap, but it is still hands down the best neck strap I have ever played. Comfortable. Well worth investing in. Ultimate Support JS-DS100 Jamstands Double Sax Stand – Everyone needs a stand, and the Woodwind & Brasswind has these for $4.99 with FREE Shipping. How insane is that. I have another one of these on order just because it was so cheap! Dayton Audio Sub-800 Subwoofer ($79) – Add some bottom to your sound. This is a great little subwoofer. Logic 9 or Reaper – Reaper is a great, almost free program that does a LOT. Logic is a battle tested Pro Audio program that many musicians have done whole albums with. Logic also comes bundled with a TON of Loops and plugins. Either will get you making music. Mighty Bright Orchestra Light($40) – The best stand light. Hands down. Includes some batteries, a case, and an AC Adapter. Pelican Cases – I am not happy with my current case, a SBK tenor case. For Alto, I use a Selmer Tripack case. Not really happy with that either. When I came across Battle Cases, I know what I want for my next case. At least for Alto. 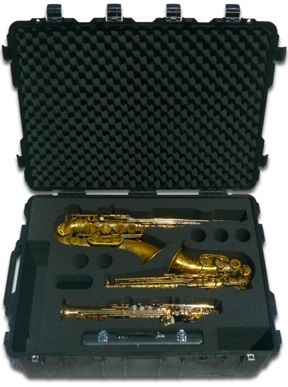 After seeing Battle Cases, I think a 1650 case modded to hold a curved soprano, alto, clarinet, flute, piccolo and oboe would be awesome. 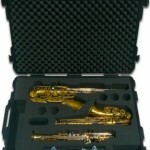 Sadly, since Battle Cases wants $150 to set up each instrument in the case, I probably would do this myself. I suppose another option is something like a Walt Johnson case. 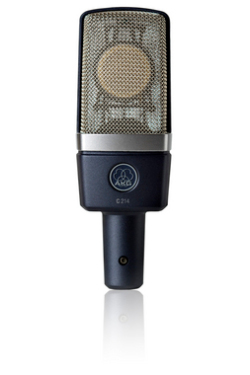 Microphone – Recording yourself is a great way to refine your art. You can’t go wrong with a Shure SM57, or if you have some more money to spend, a Rode M3 or Rode NT1A or a Blue Spark (Engadget Review). These are just starting points. There are plenty of other microphones out there. Portable Recorder – I myself have an OLD Marantz compact flash recording device. Old, I mean probably 8 years old now? There are a LOT of portable recorders on the market now. Though everyone and their mom swears by the Zoom Recorders, I have never heard anything recorded on them that sounds good. The microphones are really not very good. That being said, a flash recorder that does 24bit and 48khz or above that has XLR inputs would be ideal. Something like the Tascam DR100 MKII.